Retired NFL linebacker who won three Super Bowls as a member of the Dallas Cowboys and San Francisco 49ers. He later won Super Bowl XLVIII as a linebackers coach for the Seattle Seahawks. 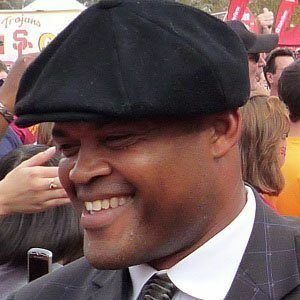 He played college football at UCLA, where he was an All-Pac-10 selection in 1987. He won Super Bowls in 1992, 1993 and 1994, making him the first player in NFL history to win Super Bowls in three consecutive seasons. His father is Heavyweight World Champion boxer Ken Norton. He has children named Brittney, Sabrina and Ken III. He earned two of his three Super Bowl rings under then-Cowboys head coach Jimmy Johnson.